Chincoteague Oyster Festival 2018 – It’s Okay To Be Shellfish! It’s time once again to get ready for the Chincoteague Oyster Festival. This beloved annual event – the 46th! – welcomes the start of oyster season. Come join in the fun Saturday, October 6th, 2018, 10am to 4pm, at Tom’s Cove Park on Chincoteague Island! 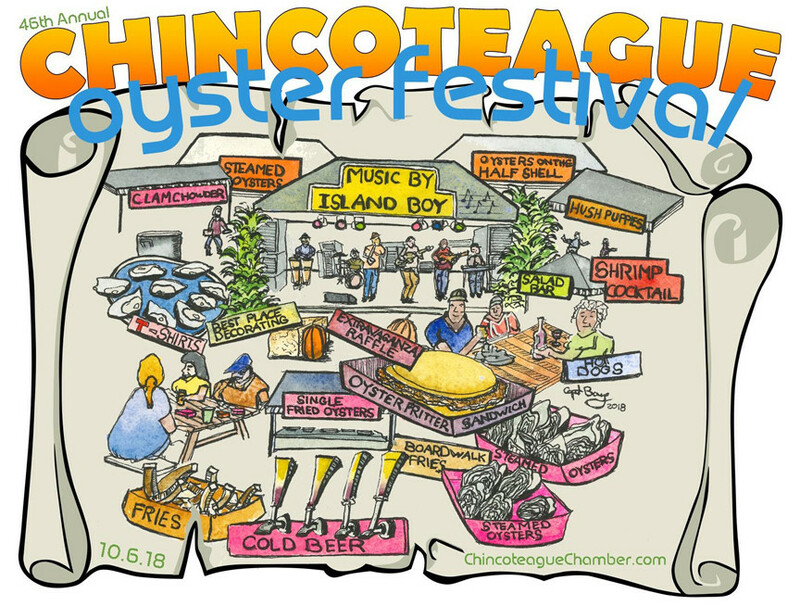 Posted in Chincoteague Events & Activities | Comments Off on Chincoteague Oyster Festival 2018 – It’s Okay To Be Shellfish!